The raw data are stark. 40% of US adults in a recent poll believe that “cancer can be solely cured through alternative remedies.” Of young people aged 18-35, the percentage pushes up to nearly half, at 47%. Remarkably, 38% of family members and other caregivers to people with cancer agree. And 22% of cancer survivors do. These beliefs – a shocking contrast to a 2017 study that found that choosing alternatives increases risk of death 2.5 times – are a central reason that the cancer establishment needs integrative and naturopathic oncologists. The article noted above in the 2017 Journal of the National Cancer Institute (JNCI) from Yale researchers Johnson and Yu shows how perilous such beliefs can be. I sadly reflect on one friend who delayed treatment for months and on another who believed she could heal through her own robust health and natural methods. Both succumbed when timely conventional treatment would very likely have saved them. That cautionary N of 2 speaks to the lack of solid evidence that alternative treatment X for diagnosed cancer Y will routinely be successful in extending life. By this I mean in the way that following the National Comprehensive Cancer Network (NCCN) guidelines of 33 radiation treatments with a little help from 3 doses of Cisplatin burned an early stage cancer off my tonsil in 2009. Carillo’s perspective was affirmed by Ted Gansler, MD strategic director of pathology research at the American Cancer Society. And why wouldn’t a reasonable person be wary of such a cancer establishment? While it is nominally health care, the cancer business behaves with an industry’s drive for volume. Despite the billions involved and high incomes of principals, it typically invests poorly if at all in the low cost integrative approaches that can limit the harm of often brutal adverse effects of their useful therapies. This evidence-informed guidance of patients toward conventional treatment has two inescapably valuable features for conventional oncology. First, the integrative practitioners provide a life-saving service by driving patients toward the conventional oncologist’s harsh but necessary treatment. 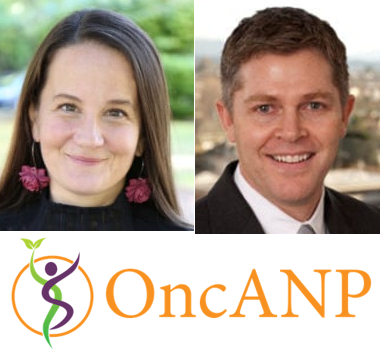 Second, by counseling alternative medicine believers toward more conservative, evidence-based choices, naturopathic and integrative oncologists drive business to regular oncologists. What is there to not like about this scenario? This openness is good, if passive. Given the public health-level of concern suggested by the ASCO survey findings, better framing might be: If there is solid evidence that the public does not trust the cancer establishment, perhaps oncologists should actively engage the optimal future for cancer care in partnership with their integrative oncology colleagues.